of the “elected” member must be within the locality where the counting is done so that there is no delay. The Organic Law does not use the word “declaration” and also prescribes no other procedure for the pronouncement of the “elected” member other than what is said above. bring all results into Waigani so that he can “declare” that, is wrong in law. candidates. The Electoral Commissioner and his staff in Waigani are not. (provincial) cases of “exceptional circumstances”, have been made out national wide. 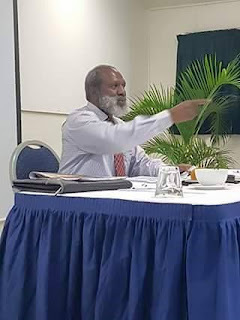 the Electoral Commissioner’s proposal to make declarations in Waigani – it’s all illegal!